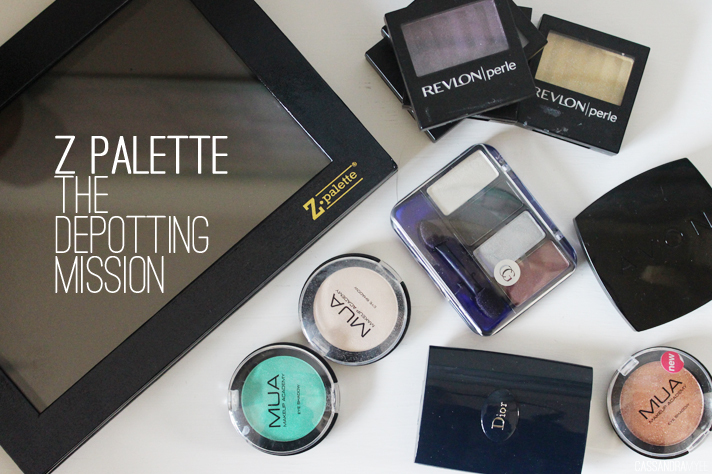 I went for the largest Z Palette there was in 'Extra Large' as I had quite a few shadows I wanted to fit in. It was $42 and as a guide it says that it can fit 35 MAC eye shadow pans. The overall palette feels very sturdy, I went for the classic black but they have quite a few different patterns and colours available. 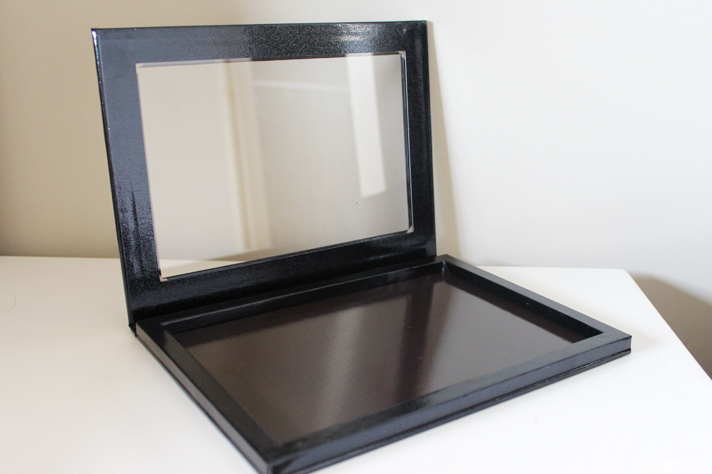 The clear lid means you can see exactly what is inside and the whole base of the palette is magnetic, so any metal pan should magnetize to it. 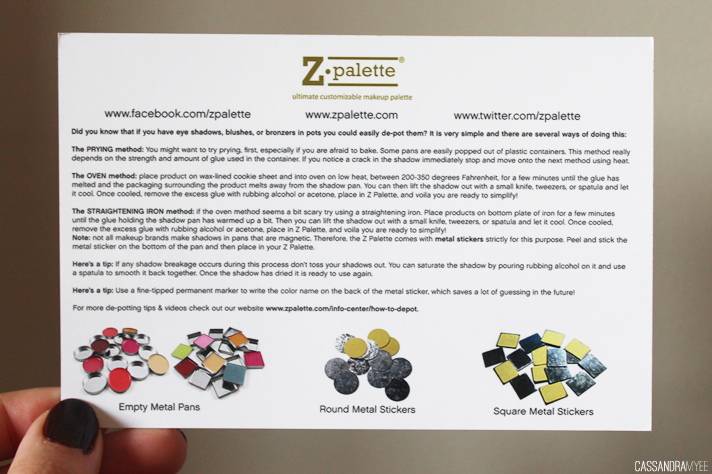 Each Z palette comes with a bunch of varying sized magnets with stickers for the pans that don't want to magnetize into the palette - there were only a few that I need to use these on, as most of them stuck in by themselves. 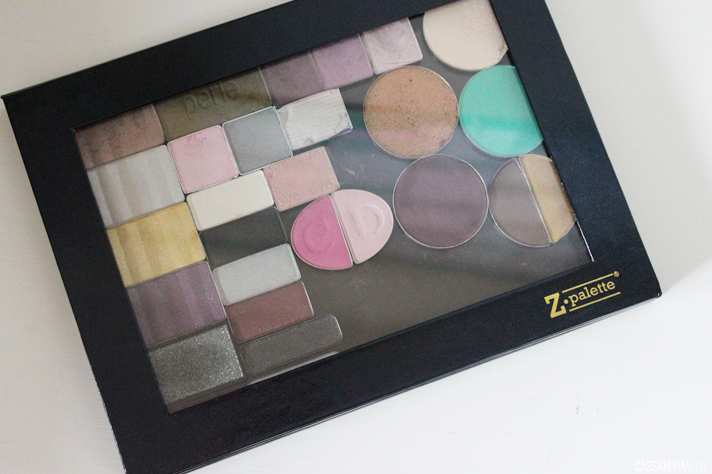 The Z Palette comes with a card giving you some tips and tricks as to how to depot, but YouTube was my best friend whilst I was doing it and there are so many great tutorials online for almost all of the shadow pots I had. 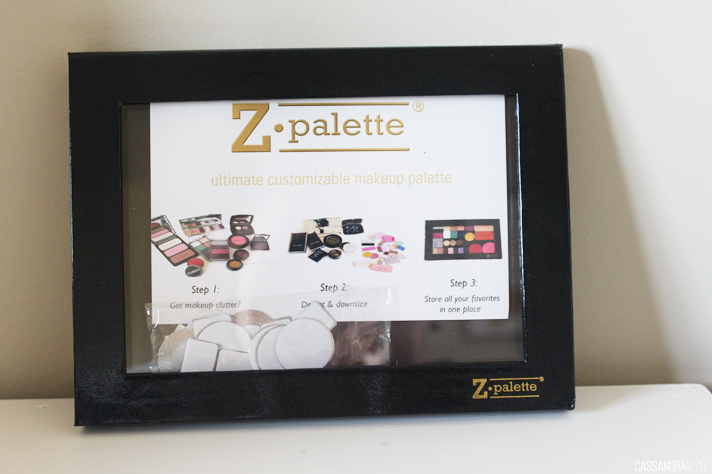 The Z Palette website also has some instructions as well. - A towel: pretty simply, it gets messy and these just act as a cushion for any shadows that might unexpectedly pop out. - A straightener + tin foil: Place the tin foil over the straightener hot plates, to ensure no plastic melts onto the plates while you have it on them heating to loosen the glue. - Tea Tree Oil (or rubbing alcohol) + cotton pads/wool: This helps to clean off any left over glue that may be on the bottom of the pan before you place it into your palette. - Blank white stickers + a permanent marker pen: Place on the bottom of the pans so you don't forget the name or shade of the eye shadow (as I did with the couple in the above picture). Some just popped out without needing any heat, but most of the ones I depotted needed some heat underneath to loosen up the glue and then you could go in with the push pin and simply pry it out, but it was a matter of trial and error. I had one casualty from a Miki quad, but I wasn't too fussed about it as it was so cheap, but if you do break any shadows you can repair them using this method so they'll be near new again, or alternatively you could just use an empty pottle and use the shadow as a loose pigment. And here is the final result! I have a bit more room for more which is great and I was amazed at how many I actually ended up fitting in. As you can see there are a couple that got a little battered during the process (i.e. the MUA round pearl eye shadow in the top right corner) but all the other survived the torment. 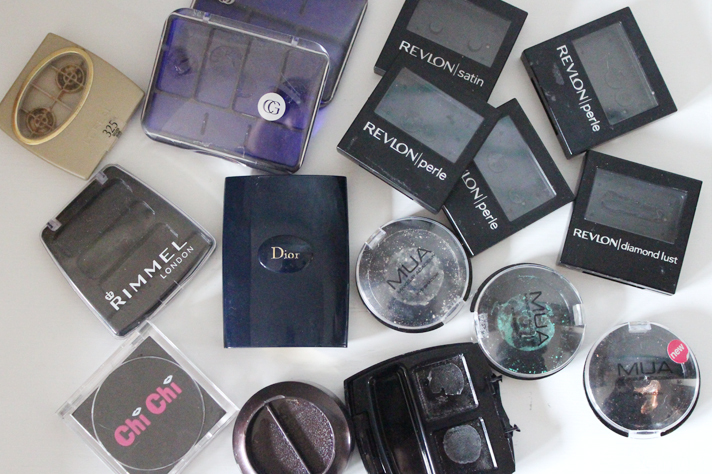 You can depot anything you'd like; blushes, bronzers, highlighters (if you can part with the packaging) but just take your time so you don't do any damage to your items. 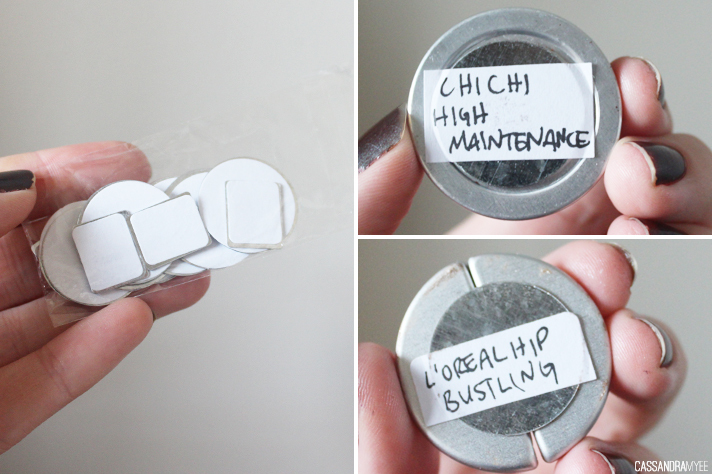 I think for single shadows this is such a great way to declutter, it also makes them more visible so I can get more use out of them instead of them being tucked away in my makeup draws. Personally I would only ever depot cheaper products as other higher end ones just have too nice a packaging to part with - but at least the freedom is there if you really want to declutter! 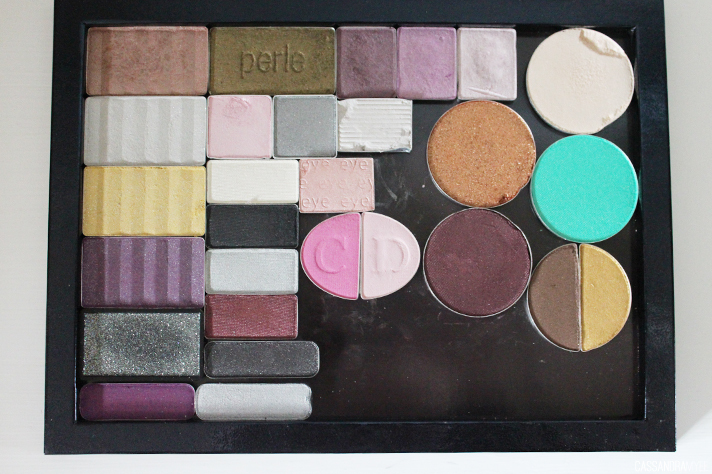 Have you attempted to do any depotting before? Any tips and tricks that you found while you were doing it?